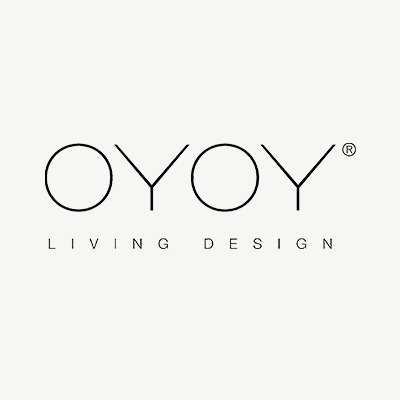 Interior and furniture designer Lotte Fynbae studied at the Teko Design School in Herning, Denmark, and in 2012 founded OYOY, a label which stands for high-quality living accessories. Lotte combines classic Scandinavian style with Japanese design elements and high functionality for everyday use. Always true to her motto “less is more”, she is inspired by simple shapes and colors. Her Mini collection with accessories and décor items for kids’ rooms, which launched in 2014, fits in perfectly with the OYOY line, always chic and yet suitable for everyday use. All the soft OYOY cushions for babies’ and kids’ rooms are so enchanting that it’s hard to choose between the owl, cactus, polar bear and teepee. The cushions are ideal as pillows for kids and also serve as toys and beautiful décor accessories in any baby’s or kid’s room. Further animal designs from OYOY are available as kids’ placemats for the kitchen or dining room table. The round placemats with their likable lion, penguin or bear prints are practical helpers in the home that simply wipe clean. A map of the world with informative illustrations is also available as a placemat at OYOY. The pretty kids’ items in the OYOY Mini collection are also great big and small gift ideas for boys and girls. Whether it’s a cushion, play rug or placemat that’s caught your eye, OYOY offers high quality materials and functional design at a fair price – just the right present to bring along to your next kids’ birthday or visit after a birth. Add a Scandinavian touch to your home! OYOY favorites for babies’ and kids’ rooms are now available at the littlehipstar online store.